Customer newsletters have a longer shelf life than ads and are more likely to be read by multiple people. Tired of paying big bucks for ads that don’t generate enough responses? Need to turbocharge your company’s sales? Then you may want to consider using a very effective but often-overlooked sales tool: a customer newsletter. Newsletters have four times the readership of a traditional ad (source: Dartnell Co.). 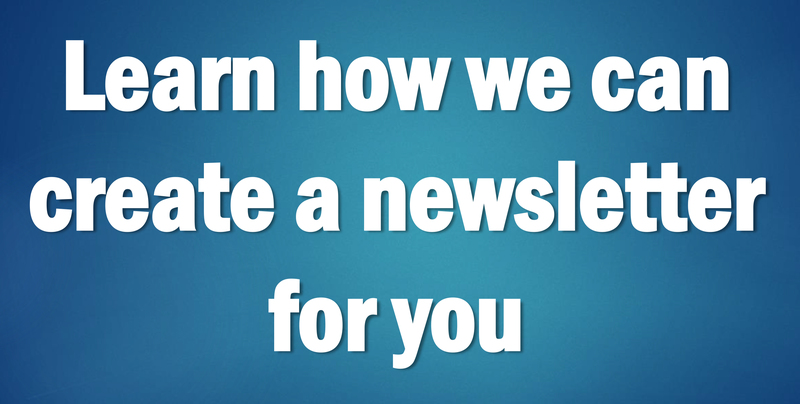 A newsletter allows you to give more in-depth information to readers than an ad. This is especially important when you’re trying to educate consumers about complex products or services. Once customers fully understand the many benefits of your products and services, they’ll be more likely to buy. Newsletters have a longer shelf life than ads and are more likely to be read by multiple people. Chances are you’ve probably received a newsletter in the mail, read it and passed it on to a coworker or family member who was interested in the information. Or you may have clipped an interesting newsletter article and posted it on a bulletin board. Ads, on the other hand, are rarely clipped and posted or shared with others. Newsletters can be used to attract new customers, increase repeat business from existing clients, enhance your company’s reputation as an industry leader and improve customer communications. Carefully choose your articles so each one generates results. Don’t waste space by printing “fluff” articles that have nothing to do with your company’s area of expertise. Also, avoid using generic filler material, such as recipes, famous quotations, etc. Every article should be used to generate specific results. For example, one article might be used to prompt sales by introducing a new product and its benefits. Another article might profile one of your best customers, showing readers new ways to use your company’s products and services. Another story might improve customer trust in your company by highlighting the impressive qualifications and accomplishments of key employees. Yet another article might discuss a hot industry trend and would draw in new readers who comprise your target market. It’s also important to keep each article focused on its goal. It’s also important to keep each article focused on its goal. I recently received a customer newsletter from a new bank that opened near my home. The bank did an “Employee Spotlight” article featuring its customer service manager. The article talked extensively about the manager’s personal life: She has “three lovely children,” loves water skiing, collects antiques, etc. Although this article may make the featured employee feel good, it’s probably not going to attract many readers or cause anyone to switch their checking accounts to this new bank. The bank had the right idea. Employee spotlight articles can be very effective. However, the bank’s article lacked focus. Instead of concentrating on the employee’s personal life, the newsletter could have quoted the employee as to how, for instance, she has 20 years of valuable experience in the banking industry; how she’s “totally dedicated” to customer service; and how she’s implemented innovative new procedures to make sure customers are served quickly, courteously and accurately. This more-focused article would be far more likely to attract new customers to the bank than the article that detailed the employee’s personal life. Attract more readers — and more potential customers — by featuring articles that give free, helpful tips related to your company’s area of expertise. These should be tips that are useful to readers regardless of if they do business with you. For instance, a home-security company might offer crime-prevention tips in its customer newsletter. A hotel conference center might offer meeting-planning tips in the newsletter that it sends to corporate clients. A sign company that sends a newsletter to local businesses might list tips on how to choose the right color combinations for an interior sign. These “free tips” articles are not only a good way to demonstrate that your company is an industry expert and is concerned with helping out customers. They also draw in a wider range of readers who will likely get hooked on the newsletter and read your other more sales-oriented articles. Generate sales leads by promoting free subscriptions to your newsletter. An easy way to generate sales leads is to add a line at the bottom of your company’s marketing materials — ads, brochures, catalogs, signs, etc. — that encourages customers to call and get a free subscription to your newsletter. For instance, a home-security company might add a sentence at the bottom of its newspaper ads saying “For valuable tips on crime prevention, call us now and get a free subscription to our Crime Watch newsletter. “People who add their names to your mailing list make excellent qualified sales leads. For instance, in the example above the home-security company’s sales people would want to follow up with each subscriber because they already know that those who’ve requested the newsletter are concerned about crime. Thus, those subscribers would be likely candidates for home-security systems. Add customer testimonials to make your newsletter more impactful. Customer testimonials can be extremely persuasive to potential clients. You can use these testimonials in several ways. The most effective way is to do a feature story on one of your satisfied clients. Customer testimonials can be extremely persuasive to potential clients. Interview the customer and quote the person as to how beneficial your products have been to him or her, how helpful your company’s employees were, how he or she would recommend your company to others, etc. (see a sample customer-testimonial article). Another way to use customer testimonials is to put a feature in your newsletter called “From the Mailbag,” or something similar. Here you can reprint positive, complimentary customer letters that your company has received. If your company doesn’t get many customer letters, one good way to generate customer testimonials is to send out a feedback form to each customer who orders one of your products or services. Ask open-ended questions, like: “How satisfied are you with the product you ordered?” “Please describe the level of customer service you received.” “How can we improve the product or service that you received?” At the bottom of the feedback form, add a sentence that says: “Occasionally, we use customer comments in our promotional materials. Is it OK if we use your comments?” Then have the customer check a “yes” or “no” box. If the person approves, you can then reprint any appropriate comments in your newsletter’s customer testimonial feature. Mail your company’s newsletter to all former and current customers. Also, send it to potential customers who may have requested information on your products in the past, but never ordered from you. Give your salespeople copies of the newsletter to hand out on sales calls. Asking potential customers if they’d like a “free newsletter full of valuable ideas and tips,” is a great door-opener and conversation starter for salespeople who make cold calls. Send the newsletters to all potential clients who may have a strong interest in certain articles. If you did an article in your newsletter about how a local bank is saving thousands of dollars in labor costs because of a new computer system that your company installed, send a copy of the newsletter to all other banks in your service area. Place a stack of newsletters at your places of business, wherever customers visit. This may include your office lobby, a retail store or showroom. Give out your newsletters at your company’s trade-show and exhibition booths. Put your newsletter and its back issues on your company’s Web site. No other medium gives you such widespread access to potential clients throughout the world for such little cost.